What impact will global environmental change have on Malta? There are clear economic and labour market impacts associated with global environmental change. How are these impacts nuanced on small island states and territories like Malta? Can we prepare for these eventualities and what are the opportunities, as well as mishaps, in store? How do these translate in economic and labour market terms? These were the basic questions framing discussions at a symposium held in Valletta in December 2014. This symposium was organised by the Centre for Labour Studies and the Institute of Earth Systems, both at the University of Malta, in association with the Climate Change Lab at the University of Prince Edward Island, Canada, the University of the West Indies, and the Smithsonian Biology Conservation Institute, the US. A team of four local experts presented position papers on the four economic areas most likely to be impacted by global environmental change in small island states and territories: agriculture (including viticulture), fisheries, tourism and transportation. Agricultural activity remains significant in south and southeastern Europe in terms of both employment and gross domestic product. Such regions may face decreases in yields of 10 per cent or more as a result of the shortening of the growing season and less rainfall. In Malta, practically half the land area is committed to dryland fodder production and only a small area is under permanent crops with different fruits and vegetables, and with the choice of crops dominated by market prices along with total water availability. Except for cereal production for fodder, all other crops are assisted with some form of irrigation that ultimately mitigates adverse climatic conditions. Cereals, olives and vines have so far demonstrated varying degrees of susceptibility to climatic actors, although management factors are also relevant. The onset of drier and warmer conditions in the Mediterranean would also create favourable conditions for pests. Thus, combined productivity losses could constitute a potential risk to rural farming systems in Malta. Output analysis suggests that some 6,300 hectares pertaining to wheat, olive and vine crop types – 55 per cent of Malta’s total utilisable agricultural area – could be rendered economically unsustainable. This impact could exacerbate the push factors that detract current or potential farmers away from a farming career. Climate change impacts in the Mediterranean are expected to be both large and rapid, and are already being felt. Sea temperatures are increasing, extreme climatic events are becoming more common, alien species are spreading, and the distribution of native Mediterranean fauna is shifting. Such changes will affect species caught by Maltese fishermen and consequently impact on the Maltese fishing industry. Although over 100 marine species are routinely caught, many fishermen target specific species for which consumer demand and, consequently, prices are high. The species with the highest landings by value are currently swordfish, bluefin tuna, dolphin fish (lampuki), giant red shrimp and red mullets. Of these, climate change data suggests that bluefin tuna and dolphin fish populations in the Mediterranean may increase due to their preference for warmer waters, while giant red shrimp and red mullets may decline due to less favourable habitat conditions and increased competition by exotic invasive species. No predictions are available for swordfish. The continued competitiveness of the Maltese fishing fleet in this uncertain situation depends on the flexibility and diversification of the industry. The adoption and implementation of solid strategies is needed to effectively market and promote different marine products. Tourism provides a significant and often growing contribution to gross domestic product – up to 30 per cent – in the Mediterranean. The region also clearly shows how pressures from environmental and climate change are increasingly impacting on the often unsustainable tourism developments along many coastlines and hinterlands. Current environmental and climatic pressures confronting the sustainability of tourism development and growth for Malta have been considered. 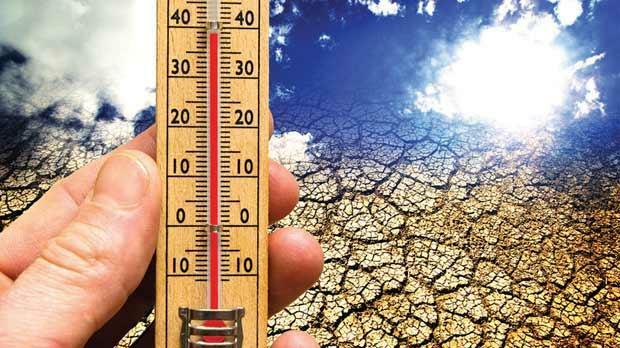 Public perception and policy implementation often ignore environmental and climate change warnings, especially from ecological change, sea level rise, increasing extreme climatic events and increasing water scarcity. These often result in inadequate or inappropriate tourism destination management responses across the Maltese islands. Measures to alleviate projected negative impacts on the Maltese tourism industry are recommended. These should increasingly focus on, for instance, more effective responses to changing consumer behaviour and demand, the development of new and quality niche markets, promotion of better responses to green policy agendas, capacity building and long-term strategic thinking. Better-coordinated responses to risk, media, employment and environmental awareness strategies are also advisable. Warnings are offered for the future sustainability of Maltese tourism and the further implications implied if such lessons are not heeded. In Malta, the identified potential risks associated with global environmental change include increases in heavy rainstorms and rises in sea level. Both pose serious threats to Malta’s transport network that permits the local movement of people and goods, and the connectivity for the international movement of goods and tourists and to connect Gozo to Malta and beyond. Using Geographic Information Systems, models can show how, and to what extent, our infrastructure is prone to such potential risks. In the case of heavy rainstorms and related flooding of low-lying areas, the model calculates that 16 per cent of our main roads would be affected by flooding. With increases in extreme weather events, the number of times the road transport system will be thus affected will also increase. Additionally, 6.3 per cent of the main road network and all critical maritime hubs (Grand Harbour, Marsaxlokk, Ċirkewwa and Mġarr) would become inoperable with a two-metre sea level rise. Apart from building roads in valley systems, Malta also has a fair number of roads built very close to the coast. Thus, sea level rise would also affect a number of built-up and tourist areas, affecting the economy negatively. Climate change adaptation needs to be integrated in our policies and plans for Malta’s future transport system. If well thought out and prepared for, global environmental change could turn into a win-win situation for all key players. Green growth can boost economic development by encouraging business innovation. A cultural and modal shift in attitude can lead to a higher quality workforce, higher economic returns and improved market and work-related environments. A recent report by the Global Commission on the Economy and Climate speaks of the way better climate could lead to better growth. By addressing the challenges of climate change, governments can secure improved economic growth and living standards, create new and better jobs, and even reduce poverty. In shaping the major processes of structural and technological change now under way in the global economy, we can create lasting economic growth while also tackling the immense risks of climate change. I’m encouraged by how, even in Malta, the corporate sector is waking up to the opportunities that environmental challenges offer. Major companies are opting for voluntary reporting on sustainability issues; sustainability is increasingly becoming a corporate obligation; and environmental resources are being monetised. This change is accelerating the transition to a new model of growth in the most practical of ways.